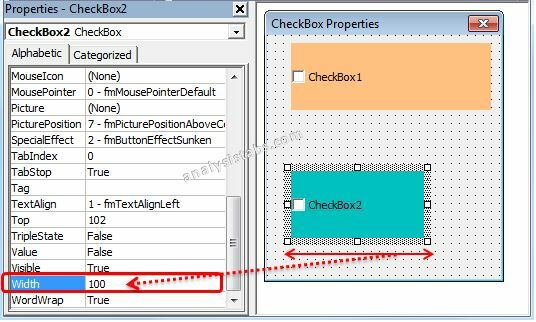 VBA Width Property of CheckBox ActiveX Control in Excel to sets or gets the distance between the Width of the CheckBox control and the Width of the userform or worksheet in points. 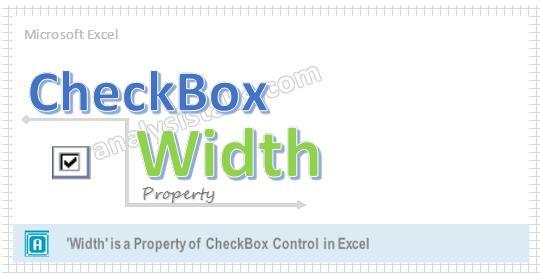 In other words we use ‘Width’ property of Check Box to set the Check Box Width position. 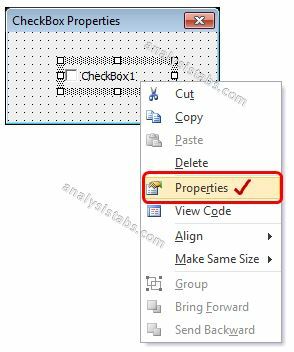 Please find the below syntax of CheckBox_Width_Property in Excel VBA. Where CheckBoxName represents the CheckBox object. 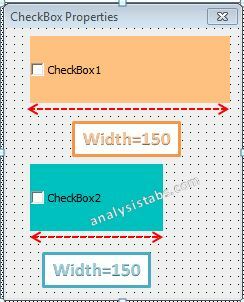 In the above syntax we are using a ‘Width’ property of CheckBox object to set the Width position. 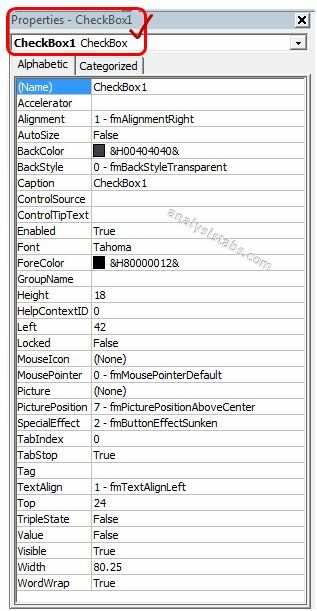 Here is the example for CheckBox_Width_Property. 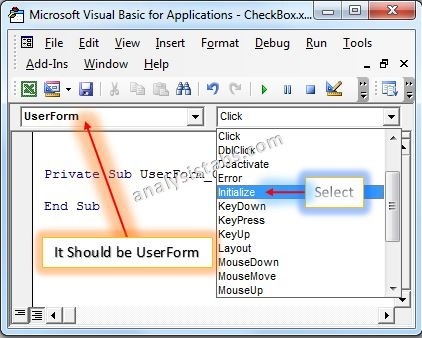 It will take you through how to set Width property of Check Box using Excel VBA. Here you can find or see how we sets or gets Width property of Check Box manually or using code. Please find the following details how we are changing manually ‘Width’ of CheckBox property. On the left side find ‘Width’ property from the available Check Box properties. On the right side you can mention Width position in number format. Here is the screen shot. for better understand added two checkBox controls. For example, I have entered 150(number) for CheckBox1 and 100 for CheckBox2. You can see same in the screen shot for your understand. Please find the following details how we are changing Width of the CheckBox property with using Excel VBA code. 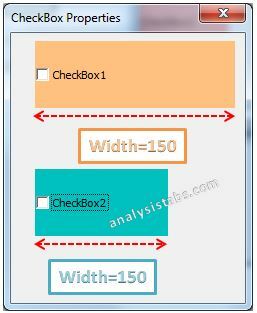 Please find the below output when we sets Width property of Checkbox1 value is 150 and Checkbox2 value is 100. It is shown in the following Screen Shot.